Manhattan Valley, the Upper West Side’s long-overlooked neighborhood. Until now. Sugar Hill, where life is still sweet decades after the neighborhood’s name was at its most popular. JFK Worldport: A terminal case. Long Island City gets its own Food & Flea. So there, Brooklyn! IT’S BEEN A WHILE since I took out my camera and even longer since I printed in a darkroom. So, I’ve exercised my photographic curiosity in other ways, mainly reporting on a few major photo events in the city. 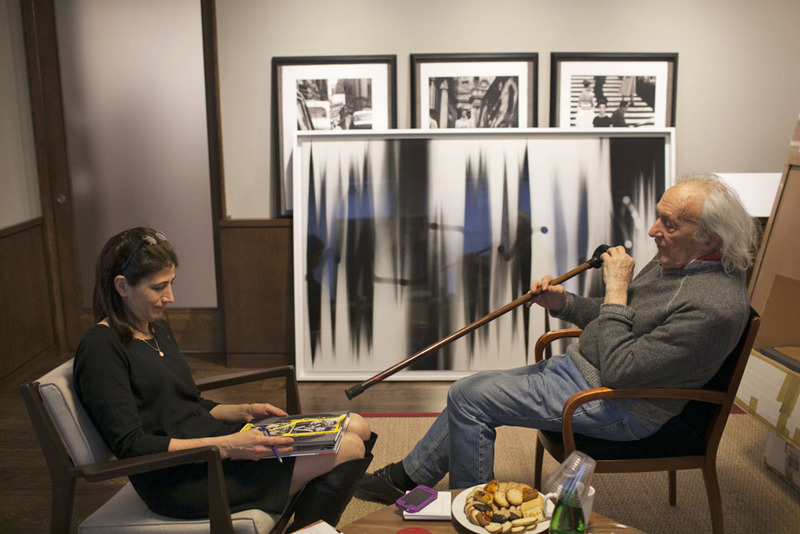 On a more cheerful note, I spoke with Jeff Rosenheim, the curator responsible for the exuberant William Eggleston show at the Metropolitan Museum. The small show include 36 dye-transfer prints, which nearly vibrate with their color energy. 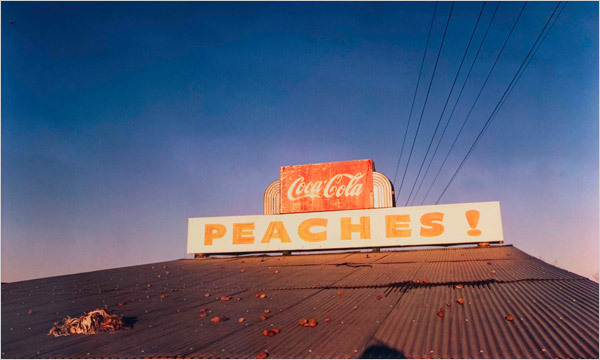 Textural, velvety, nuanced, painterly, the prints are other worldly—an irony of sorts, as Eggleston was all about the earthly and ordinary. I have long admired Aperture and was thrilled to go behind the scenes of the magazine’s redesign. The revamp brings the magazine back to its roots as a long-form critical look at photography and, at the same time, considers the insistent forward thrust of the industry. 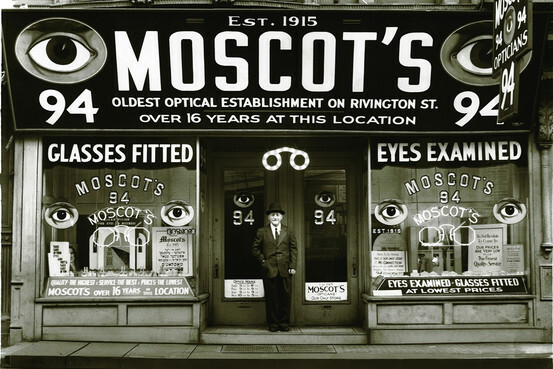 You can still catch a vestige of the old Lower East Side at Moscot, one of the original immigrant-family businesses and only one of about five still remaining here. The store will relocate across the street after 77 years in the same spot. You won’t trip up the lopsided wooden stairs into a bespectacled world of wacky frames and memorabilia any longer, but the new space, across Delancey, will continue the store’s quirky brand of hip. In the Wallabout, storefronts are brushing off the Navy yard grit and gearing up for what could be Brooklyn’s next “it” neighborhood. Where you used to get cheap drinks and lap dances, you’ll soon have Brooklyn-roasted coffee; illegal lofts are becoming legit and soon you won’t even grumble about the lack of public transportation. Lower MacDougal Street is the last place in SoHo you’d expect to find peace and quiet. 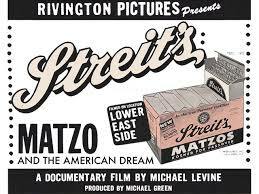 One block still tells the story of a neighborhood that’s all but vanished under the siege of national chain stores and trendy restaurants. In the shadow of the George Washington Bridge lies a small strip of a neighborhood that, with its leafy trees and trellised stone staircases, seems more Parisian than New York. 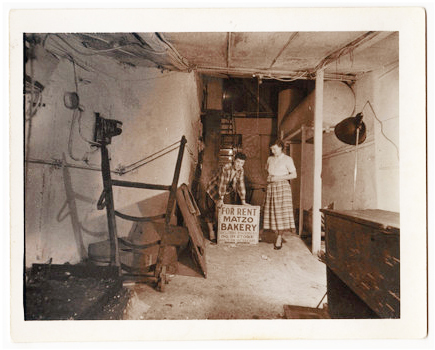 Here, mom & pop stores thrive, neighbors know each other, and the scale remains human. FIKA, a Swedish specialty coffee house is one of a few gourmet food purveyors reclaiming the historic roots of TriBeCa’s food manufacturing base. The new chocolate production kitchen expands the operation and brings a sweet spot to an emerging neighborhood. I SPENT ABOUT EIGHT YEARS working in Midtown, most days making the commute by foot from my apartment in West Chelsea. I mapped walking routes based on sights that always made me glad I lived here: the reflected sun on the Flatiron Building, the lovely ring of gotham-esque buildings around Madison Square Park, the Academy of Dramatic Arts, where young actors-in-training in edgy fashion hung out on the stoop, smoked cigarettes, read their lines. Over the years, I saw the evolution of many buildings: the Toy Building into an über Italian-food temple, the B. Altman department store repurposed into the NYPL’s Science, Industry and Business Library, the Hotel Roger Williams awakened from a frumpy sleep and transformed into the now sleek [simply] Roger. But rarely did I pay much attention to the ordinary streetscape: solid stone buildings in tones of grays or tans or browns that sometimes seemed like an muddy landscape—maybe broken here and there by a graceful limestone or terra-cotta confection. Now, it seems that’s how the city planning office sees much of Midtown: a blur of out-of-date buildings that no longer serve the needs of today’s business world. If approved, the city’s plan for “Midtown East” would lift height restrictions, put air rights into a grab bag for developers and tromp all over the ugly old buildings that keep Manhattan from competing with the likes of Dubai and Shanghai. The thing is, though, they’re not old and they’re not ugly. For my story in the Wall Street Journal [PDF here], I spent a couple of days walking the corridors around Grand Central Terminal with a hit list of endangered sites provided to me by the New York Landmarks Conservancy. The conservancy (and others) are concerned that a wholesale redevelopment of the area will erase the architectural language of the neighborhood. Should the plan go through, a lot of great old buildings, built by the star architects of their time—yet unprotected by city landmark designation—could tumble. Among those: the Yale Club and others around the periphery of the train station, once part of a matrix called Terminal City. Archival images from the time—around 1913—show a handsome streetscape of uniform skyscrapers and Beaux-Arts buildings with heroic and whimsical sculpture, bronze medallions, ornamental tiles, Venetian-Gothic style ornament. Though diminished, you can still see a coherent plan. Look up and you’ll see amazing details. But what you cannot see are the Commodore and the Biltmore hotels, long-covered with modern skins, their heritage and glamor erased. You can still see the Biltmore clock, referenced in literature by J.D. Salinger and F. Scott Fitzgerald, in the lobby of the Bank of America building now on that site, but there’s no meeting under it. The Hotel Roosevelt, the last of the triumvirate of Terminal City hotels, still stands, but preservationists agree it has a big red X on it. Along Park and Lexington avenues, serviceable office buildings and charming old-world hotels may disappear, including the former 1924 Shelton Club at 525 Lexington Ave., where Georgia O’Keefe and Alfred Stieglitz lived and worked in residency. You wouldn’t take out such a building in say, Paris or London. There’s even speculation about the unthinkable: new high-rise development subjugating the Chrysler Building, the undisputed jewel in the Manhattan skyline. A lot of people are asking the right kind of questions. Why are these structures “unsuitable?” Who, exactly, is served by the new proposal? What is the logical market for these buildings? At what cost do we become a futuristic city? And more poignantly, why would you rip out the heart of Manhattan? These buildings are not out of date, but what they do lack are out-sized egos. WITH MOST OF THE CITY in chaos after Hurricane Sandy, seeing a play is probably the least thing on people’s minds. Understandably so. Let’s hope the city gets back to normal, not only for the sake of all of us who live, work and play here, but so businesses can begin to mitigate their losses. When you do resume play-going, an interesting small piece recently opened at the Duke on 42nd Street, an adaptation of Jonathan Franzen’s essay, House for Sale. So far, reviewers have not loved it, but if you’re a language lover, and want to support experiemental American theater, it’s worth the affordable ticket. On the surface, it’s a quiet memoir of grief and loss—physical and emotional. 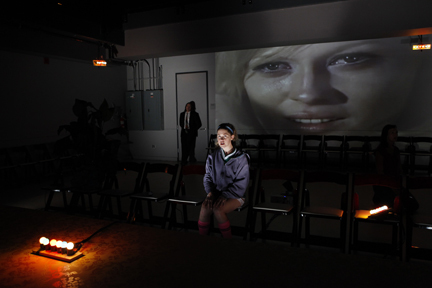 Underneath, it explores the splintering of hope, confidence and relationships. It’s dark, but beautifully written and interestingly presented. The online “hurricane edition” in today’s WSJ is here and the PDF is here.